When you're trying to lose weight, you want to know specifics. What can I eat? What can't I eat? While, technically, all foods fit into any well-rounded weight-loss plan, some foods may hinder your efforts more than others. If you're trying to lose weight you may want to avoid regular, or sweetened, soda, french fries and potato chips, red meat and processed meat, fried foods and refined carbs and sweets. Before you clear out your kitchen cupboards, talk to your doctor or a dietitian to help you design a weight-loss plan that fits your needs and lifestyle. 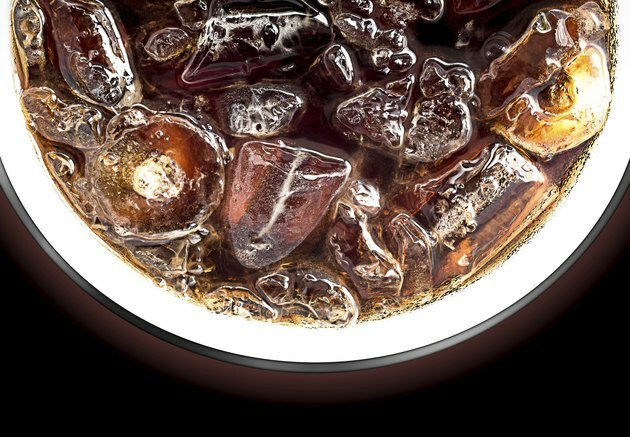 One of the easiest foods to eliminate from your diet when you're trying to lose weight is regular soda. Soda drinkers tend to consume a lot more calories than they think and are more likely to gain weight, according to a 2014 study published in the Journal of the Academy of Nutrition and Dietetics. A can of soda has 150 calories and 40 grams of sugar, and it offers no nutritional value whatsoever. Plus, soda is not as filling as other types of food or drinks, according to the authors of the 2014 JAND study, and they end up eating even more calories to satisfy hunger. Instead of soda, drink water with a spritz of lemon or lime on your weight-loss diet. Or, if you need a little sweetness, mix seltzer water with 100-percent fruit juice to create a lower-calorie fizzy beverage. Potatoes are the most-often consumed vegetable in the United States, according to the U.S. Department of Agriculture, and most Americans eat the root vegetable as french fries. Unfortunately, french fries are a major contributor to weight gain, according to a 2011 study published in the New England Journal of Medicine. This study looked at foods most often associated with weight gain and found that people who regularly ate french fries gained a little more than 3 pounds over a four-year period. Potato chips aren't much better, adding about 1 1/2 pounds in the same time frame. Instead of french fries and chips, consider other veggie options, such as roasted carrots, baked sweet potato "fries" or kale chips, on your weight-loss plan. You should also avoid processed meats such as bacon, sausage and hot dogs, and red meat if you're trying to trim down. Although not as bad as french fries, these types of meat can each add an extra pound every four years, according to the authors of the 2011 NEJM study. They are high in fat, which adds calories and can be packed with sodium added during processing. Too much sodium causes your body to retain fluids, which not only affects the number on the scale, but it's also linked to an increase in blood pressure. One slice of bacon has 43 calories, 3 grams of fat and 160 milligrams of sodium, and a pork sausage link has 75 calories, 6 grams of fat and 187 milligrams of sodium. For weight loss, you might be better off getting your protein from poultry, seafood and non-meat sources such as beans or tofu. For comparison, a meatless sausage link has only 35 calories. It's not just french fries you want to avoid when you're trying to lose weight, but all fried foods. Fried fish, chicken, any of the state-fair concoctions like fried pickles and your favorite sandwich cookie can also contribute to weight gain. The frying process adds unnecessary calories from the fat used for cooking, and extra breading can add even more. All extra calories count when you're trying to lose weight. A 3.5-ounce piece of fried chicken has 192 calories, while the broiled version has 172 calories. You can save even more calories by baking your fish instead of frying it. A 3.5-ounce portion of battered and fried catfish has 229 calories, while the same serving of baked catfish has only 100 calories. To cut calories for weight loss, always go for baked, broiled, boiled or steamed dishes. Refined starches, such as white bread, crackers and pretzels, don't satisfy your hunger as much as whole grains, according to the 2011 NEJM study, and may make it harder for you to lose weight. Swap your white bread for whole wheat and cornflakes for oatmeal to satisfy hunger and improve your waistline. These whole grain foods are also a better source of nutrients, including fiber, vitamins and minerals. Cake, cookies, candy and other sweet treats can also produce weight gain, adding a little less than 1/2 a pound over four years, according to the authors of the NEJM study. Like soda and refined carbs, sweets are high in calories, devoid of nutrition and don't fill you up; instead, satisfy your sweet tooth with fruit. Instead of a dish of ice cream after dinner, blend frozen bananas with fresh berries. Baked apples flavored with cinnamon and almond slices also make a healthy and satisfying treat.